SteelSeries have always been a strong peripheral manufacturer, and one of its latest products, the Rival 500 continues that trend. Designed for MMO players and those users who just need to have as many buttons as possible on their mouse, the Rival 500 is a mouse that gives you the power of 15 programmable buttons to use as you see fit. Thermaltake and BMW DesignworksUSA formed a partnership several years ago to develop a line of PC gaming hardware. First came the legendary Level 10 case, which broke barriers with it’s modular design and won many awards. 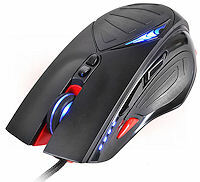 Next they worked together on developing the Level 10M, a gaming mouse that featured an aluminum base, height and tilt adjustment, 8200DPI laser sensor, and three custom lighting zones. Now, several years later, Thermaltake has continued to develop the Level 10 products with new features and enhancements. 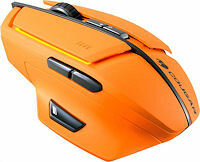 The latest Level 10 gaming mouse is the Level 10 M Advanced. It continues the overall look and feel of the original, with some changes. Cougar is a German manufacturer of PC components that was founded in 2007. 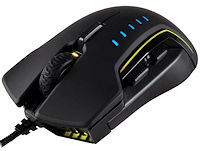 The company originally focused on cases and PSUs, but recently diversified towards gaming peripherals as well. A year ago we had a look at their first and, at the time, the most advanced keyboard and mouse they had to offer. Following the success of their 700-series peripherals, Cougar released nearly a dozen additional keyboards and mice during this past year, designed to cover many tastes and budgets. Today we are having a look at one of their newest keyboards and mice, the Attack X3 mechanical gaming keyboard and the 450M optical gaming mouse respectively. Mad Catz R.A.T. mice have a long history with PC gamers. If you’ve used a R.A.T. mouse you know it is unlike anything else out there, yet many people overlook these mice and I’m not sure why. Some people have told me they don’t choose these mice because they don’t look like they would be comfortable, yet they have never used them. Every R.A.T. mouse that I’ve used not only has been comfortable, but extremely functional. Mad Catz recently released two new R.A.T. mice, the PRO X and the PRO S. Today we will be taking a look at the PRO S which features a PixArt PMW3310 5000 DPI optical sensor, 8 programmable buttons, and an adjustable palm rest. 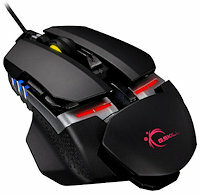 The PRO S is designed to be a tournament mouse to it is also very lightweight. Let’s get to gaming and see what the PRO S is all about! Over the course of the last few months, Logitech has been revamping its “Gaming” lineup of peripherals, among which it released three new mice – the G302 Daedalus Prime, the G402 Hyperion Fury, and the G502 Proteus Core. Each of these mice had their own points that made them great, but there was a specific combination that gamers were still craving. 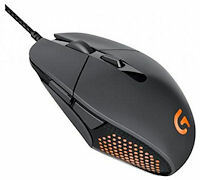 This combination is the shape and switches of the G302, the sensor of the G502, and RGB lighting, or so claims Logitech. To answer the call, Logitech built the G303 Daedalus Apex. We had a chance to spend some time with a unit before launch. With the Raptor gaming mouse, Gigabyte is targeting a rather specific crowd in the gaming world: those who want a claw-style rodent. We don’t see many of these, and the Raptor looks sleek and comes with a few interesting features. Not only is it a claw mouse, but it’s also nearly ambidextrous. Interesting, to be sure. But will it alienate mainstream users, or zero in on those who want something special? Let’s take a closer look at the Gigabyte Raptor gaming mouse and make the call. ASUS has brought forward a gaming mouse that complements the Republic of Gamers product family that’s sure to grab your attention with its fierce appearance, high end features, and a strangely familiar ergonomic design. The ROG Gladius is named after the signature handheld weapon of Ancient Roman generals to complement the Maximus motherboard named after the title given to highly respected generals. This neat tidbit is printed on the inner side of the front flap on the box. 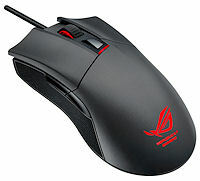 It’s rare to see ASUS produce gaming peripherals, but the ROG Gladius is hardly their first gaming mouse and ASUS has more than proven their design and production capabilities in several computer hardware categories. Over the last couple of months we have taken a look at various items from Cougar. Starting with their 700M mouse and matching pad which won our performance award, then more recently their high end keyboard… a gold award winner. Today in our Cougar 600M Review we find out if they can add to those awards.